Burton’s first short film, Vincent, still resonates decades later. The Saturn Sandworm seen later in Beetlejuice (1988) and The Nightmare Before Christmas (1993) first appears in this short film. An early form of Jack Skellington from The Nightmare Before Christmas (1993) can be seen in the upper-left corner of the screen at 4:45. The Dog’s Frankenstein Monster-like make-up seen later in Frankenweenie (1984). 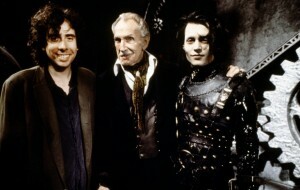 Burton and Price struck a genuine friendship which resulted in the horror icon being cast as The Inventor in Edward Scissor Hands. While the film and Price’s performance were both lauded it took a toll: Exasperation of his emphysema and Parkinson’s disease while filming led to a quick decline in the actor’s health. When Vincent Price passed away in 1993, he and Burton were working hard on yet another project; it was nonfiction this time, a film called: Conversations with Vincent. 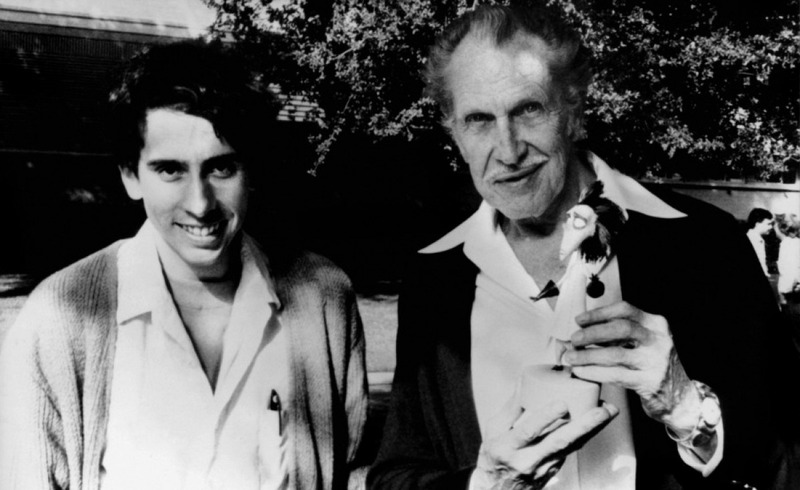 When the incomparable Master of Macabre shook his mortal coil, though, Burton shelved the project uncompleted. To this day, it remains unseen and untouched, meaning we can only speculate on the wealth of Price-less insights contained within. 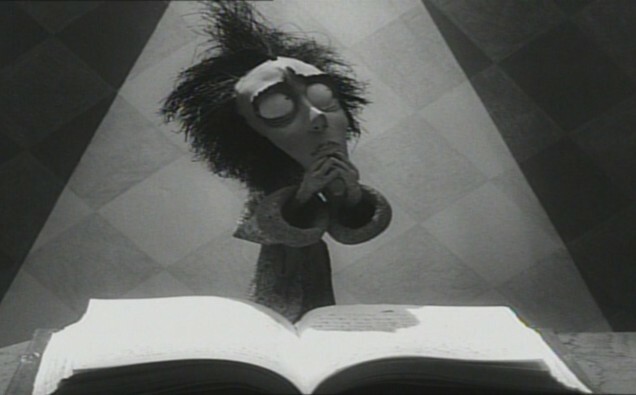 What do you think of Tim Burton’s first short film, Vincent? Sound off in the Comments section!